Sermon preached on Romans 14:1-12 by Rev. 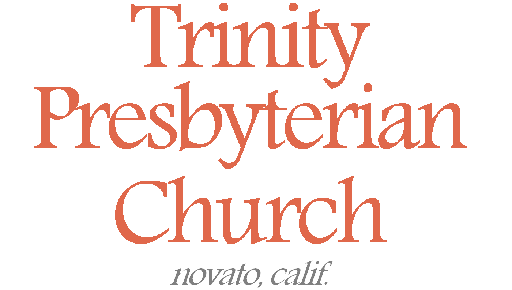 W. Reid Hankins during the Morning Worship Service at Trinity Presbyterian Church (OPC) on 4/21/2013 in Novato, CA. Quarrels and conflicts and cliques in the church. Factions, schisms, and church splits. Unfortunately, these sorts of things are all too common in Christ’s church. How do we handle differences in the church? When is an issue a thing we must fight for, and when is it the wrong hill to die upon? These are questions we are faced whenever we face various conflicts and disagreements in the church. You might have heard the famous saying, “In essentials unity, in non-essentials liberty, in all things charity.” That addresses the concern. And that is a powerful saying. But at the same time, we need more than a saying. We need biblical truth, in all its wise detail, to guide us. To inform our thinking. That we would be transformed by the renewing of our minds. Well, this passage informs our thinking on this subject of potential conflict and quarrels in the church. Now, to be fair, even after we study today’s passage, there is still going to be difficulty in living this out. This passage will help us to think about when we need to divide from others, versus when we should accept others even with their differences. But when we go to apply it, the actual practice of these principles can be difficult. It can be difficult to know where to draw the line. And yet it’s even more difficult if we haven’t begun to think biblically about how to approach the differences we’ll have with others in the church. And so let’s dig in by seeing the topic of this passage and giving some definitions. Begin in verse 1. It calls us here to receive one who is weak in the faith. This is verse 1. Receive the one who is weak in the faith. So this passage talks about some people who are “weak” in the faith, and some who are “strong” in the faith. The language of being “strong” is not mentioned yet in the verses we read, though it is clearly implied in contrast. The language of “strong” versus “weak” is mentioned in context, however, in 15:1. This general issue is continued to be addressed throughout this chapter and into the start of chapter 15. So what is this weak faith versus this strong faith? Well, it seems that there are some who in their weaknesses of faith had some convictions about how to live as Christian that were not shared by the so called strong of faith. It’s important to note what kind of convictions these were; this is very important. Verse 1 in our pew bible calls them “doubtful things.” The point in verse 1, by the way, is that we receive the weak, not in order to dispute with them over these doubtful things. In other words, the doubtful things are the points of conflict between the weak and the strong. We’ll talk more about the receiving of the weak in our second point, but first understand that we are talking about these “doubtful things” as the point of conflict. The ESV translates these doubtful things as opinions. The simple point to note then is that these are matters of some dispute. They are dealing with cases of conscience, but as we’ll see that they are ultimately matters of indifference, though not everyone thinks that is the case. Basically, the strong think they are matters of indifference, the weak do not. In some cases, there may be little or no biblical revelation on the disputed subject, and so differing opinions may arise. Or in other cases, it may be that someone’s less mature faith is not fully informed on the full breadth of teaching of Scripture and lacks sufficient growth to know what someone stronger might know — further instruction can remedy that weakness of course. Or, maybe the most common weakness of faith, is that someone’s personal background might make them predisposed to not be able to accept as good what someone stronger might be able to accept. This might all seem a bit murky, but I think it becomes a lot more clear when we consider some examples. Two examples are given in the text here. The first one is regarding what someone may eat, verse 2. Here the strong person eats a full diet, including meat. The weak person on the other hand is a vegetarian. No reasons are told to us why the weak person has this conclusion. It may be over concerns of if the meat had been previously sacrificed to idols. Or it may be that they don’t like the idea of having an animal killed for their food. Who knows? 1 Corinthians 8:7 give a more specific example and explanation about how someone weak in faith might not be able in good conscience to eat meat that was sacrificed to idols, because of that person’s past association with idols. Paul explains that even though we all might know as Christians that idols don’t really exist, that for someone with such an idolatry background they may not be able to make that distinction in their mind as they eat meat sacrificed to idols, and so for them it would be sinful to eat. Such a person weak of faith, would thus not want to eat meat. That’s certainly one specific example of the wider food example listed here in Romans 14. And so the point here is that the weak of faith would think it wrong to eat this meat. That no matter what, they’d think they were doing something wrong by eating it. Certainly there are Christian vegetarians today with some of these same concerns. What’s implied here by Paul is that it’s their weakness of faith that holds that conviction. That actually in our Christian liberty which our faith possesses we can eat meat, even if some pagan had sacrificed it to an idol previously. The strong of faith recognizes this truth. The weak of faith has not, for one reason or another, been able to truly embrace that truth. A second example is in verse 5. This is about days. Interestingly, it doesn’t say who is the weak one or the strong one here. But the point is that some observe special days, and some do not. We are not told which days he’s talking about. Sometimes people use this to say that it’s okay for Christians to not treat Sunday with any special significance as the day for Christians to assemble weekly. I can see how some people think that here, but likely that’s not what’s really in mind here. This likely has to do with all the many special days from the Old Testament Jewish calendar. Think of all the feasts they had, and special Sabbath days as part of those feasts, and new moon festivals, etc. Should Christians continue to celebrate Passover, and Pentecost, and the Feast of Tabernacles, etc? Some did. Today, some Jewish Christians still faithfully do too. But must we? Presumably the strong of faith said we need not, and some weak of faith said we must. But again, Paul doesn’t identify which one is strong or weak here in this case. You might think of today, many Christians celebrate Christmas and Easter as religious holidays. Some do not. It would seem that it is not a matter to divide over, though. And so as a side note, this likely doesn’t address the Lord’s Day observance of the church meeting together on Sunday, as it’s interpreted by some in that sense. The New Testament and early church history seems pretty united on Lord’s Day worship. So these are some examples of items for which we should not divide over. But let me offer an important caveat or further explanation here. What’s interesting is that Paul himself writes elsewhere on items of dispute that at first glance sound somewhat similar. But his tact and approach in some other passages is far different. For example, in Galatians 4:9-11 Paul condemns the Galatians in very strong language about how they were observing certain days. In Colossians 2:20-23, Paul strongly chides them for certain restrictions on food that they were putting upon themselves. Why is his tone so different in Galatians and Colossians than here? Especially when the subjects at first glance seem so similar, about days and food? Well, the difference is so important and telling. In Galatians and Colossians, the matters of days and food were essentially being made into salvation issues by those churches. In the Galatian church, Paul had criticized them for starting with the gospel, and now because of influence by the Judaizer party, were saying you had to do certain other ceremonial things, like get circumcised, in order to be saved. In other words, they were replacing the gospel with ceremonial works such as observing the old Jewish feasts in order to be saved. Paul says in Galatians that we are accursed if we do that! Similarly, in Colossians, it seems that Paul is addressing people who think religious asceticism is the way to be saved – salvation through things like abstaining from certain foods, for example. And so Paul can take somewhat similar sounding issues of food and days, and speak strongly against them when people make them falsely into points of salvation. This then offers us helpful wisdom in knowing where to draw the line. There is a time to draw the line, and a time not to. When someone in weakness of faith has a case of consciences of what is moral or right to do or not to do, we can and should bear with them in that weakness. I don’t mean to say that with regard to clear moral imperatives of Scripture, by the way. I’m not saying that if someone says they believe stealing is okay for a Christian, that we should tolerate that, saying they just have a stronger faith that lets them get away with stealing. No, that’s not what we are talking about. And even more so, if someone’s personal conviction is used to compete with the gospel, to somehow say this is required in order to be saved, and if that is not a biblical requirement, then such must be rejected. Then we must not receive such, because it is heresy and damning. Again, there is a time to draw the line and say this conviction must not be held, and other times, when we recognize someone’s weakness of faith on a matter essentially of indifference, and we don’t divide over it. I like how verse 1 qualifies this. The pew bible’s translation is a little hard to grasp but it says to receive them, but not to disputes over doubtful things. In other words, receive each other, but not for the purpose of arguing with them. Now, I don’t think, by the way, that such forbids us from dialoguing about that dispute to a degree, to try to better strengthen or inform someone’s faith. But this dialogue must remain dialogue. It must not turn into quarreling. It must not result in cliques, or factions or schism. Well, in light of these possible attitudes from both the weak and the strong, Paul says we should receive others in these such scruples and disagreements. Again, not all scruples and disagreements are created equal as we said. But for the kind mentioned here, we are to receive one another. Paul then goes on to talk about this in terms of judgment. He speaks against judging one another. So this is a big part about what it looks like to receive each other. It further describes how we treat each other and think about them. This will then be our third main point for today. To think about how we are to not judge one another. Let’s set the context here about this call to not judge. The person we are to not judge is described in two different ways in this passage. First, we are to not judge someone else’s servant, verse 4. And we are not to judge our brothers, verse 10. We’ll talk about what kind of judging this is, in a moment. But for now, notice that we are talking about people who are both God’s servants and our Christian brothers. This is important to remember. Two things then: this person we would judge doesn’t answer to you. He answers to God. Keep that in mind. Second, he is your Christian brother or sister. He’s family in the Lord. A fellow believer. That means he’s saved. In other words, again, we are not talking about a salvation issue. Otherwise, Paul couldn’t talk like this. We are talking about non-essentials. We are not talking about disputes over matters pertaining to our salvation. The issues of disagreement are not going to affect whether someone goes to heaven or hell. These are honest disputes between believers who are family together in Christ. Let’s make sure to keep that in mind, and treat one another accordingly! It’s this idea of us being someone else’s servant that’s especially in view here when it talks about not judging. You see, we find in verses like 10-11 that there is a judge. God is that judge. What’s interesting there is we see that at that judgment, we will answer to God about ourselves, not for someone else’s actions. Each will have to give an account of himself to God, verse 12. Related to this, it means that the other person whom you would judge, actually answers to God, not us. We don’t set ourselves up as judge, because God is judge. It’s not our place. Now, all this being said, we have to make sure we understand that this is talking about a certain kind of unrighteous judging of our brother. But there is also biblically speaking some right judging that we have to do. In cases of conscience on these narrowly defined “doubtful things” that we’ve discussed, we leave that for God to decide with that particular person. That’s the judgment being forbidden here. It’s talking strictly about these certain kinds of disputed items. On those, we are not to judge others in the sense of condemning them for their decisions in such matters. God will. So that is the point here about judging. That’s the scope. But, realize then, there is good judging that we see in Scripture, that we must do. For example, in general, Christians are going to have to decide what is righteous according to God’s revealed will and law. In Galatians 6, we see that if we catch a brother in some unrighteous action, that we need to lovingly and humbly look to restore them. In other words, there’s a call there for biblical admonition to such a sinning brother. Obviously some kind of judging of the action is involved there. So, in some cases, on the narrow matter of certain disputed things, we don’t judge and condemn them. Other cases of clear sin according to the Bible, we must. In other words, we do make judgments on the non-doubtful things! We see an example of this in 1 Corinthians where Paul specifically talks about making a judgment about a gross case of sexual immorality. He explicitly there is judging. But there’s not a conflict. This is especially the case when you remember that this is particularly the role of elders in the church. Elders find their roots in the Old Testament, where they would serve as judges among the people. In the New Testament church, God continues to use them in that fashion. But even then, they must restrict their judgments to the clear light of the Word of God. They must keep the scope of their judgment to what is clear, and not enforce their own opinions in matters of indifference or uncertainty. As a side note, this is how you can help safeguard yourself against judging another too, by making use of the elders. When you believe there is some sin a fellow Christian has committed and you feel compelled to lovingly confront him, do it in a spirit of humility. If they agree with you and repent of that sin, then praise the Lord. If they do not agree with you, and instead think you are wrong, then you can together go to the elders and ask them to be a judge of the matter between you two. That is part of their job. That action says in humility that you won’t set yourself up as judge over your brother. And it uses God’s ordained means to promote peace within his church. Again, the elders must then judge based on the clear light of the Word, and that judgment might involve identifying something as one of these “doubtful things” for which we must still receive our brother who has a different conviction on the matter. And so at the heart of all of this talk on not judging and instead receiving is the gospel. We are talking about recognizing the atoning work of Jesus Christ, not just in yourself, but in others. Verse 10 soberly reminds us that we will all have to stand in judgment before God. And yet, what is the good news for the Christian? It’s what we see here. Verse 3, “For God has received him.” Verse 4, “For God is able to make him stand.” Verse 9 reminds us that our Lord Jesus is Lord of both the dead and the living. 15:7 concludes all this saying, “Therefore receive one another, just as Christ also received us, to the glory of God.” You see, this is what we are talking about. When someone is truly a Christian, even if they have one of these different cases of conscience than you do, don’t act like they have some scarlet letter or are some plague in the church. Yes, there are times when some people are that in the church. But if they are not, and if instead it’s one of these “disputed things”, receive them. Receive them because they like you have been received by Christ. Because they like you have found grace and forgiveness and atonement by the cross of Jesus. Because they like you are not perfect this side of heaven, but therefore God gives us grace. God is able to make both them and you stand in him, despite our failings. Yes, they will have weaknesses. You too will have weaknesses. In Christ, we are made to stand. I love that about verse 4. That God is able to make us stand. I need that making! That divine work to enable our perseverance. That’s what God does for his people. Praise the Lord! So then, brothers and sisters, in these matters of dispute, let us not focus on what others are doing. Let us focus on what we are doing. This is what this passage tells us. Verses 6 through 8, for example, tell us that wherever we fall on these sorts of issues, make sure that you are doing what you are doing for the Lord. In honor of him. Whether you observe a day or not, do it to the Lord. Whether you eat meat or not, do it to the Lord. Be fully convinced in your mind, either way, verse 5. In all things, even in matters of uncertainty, we have to come to some conclusion how God would have you to act. Seek the Bible’s wisdom and input. Come to a conclusion. And then look to honor God in your decision. Do it all unto God’s glory. Let us focus on how we will handle such matters, instead of judging and condemning how someone else handles such matters. And let us rejoice together in how God has received us both — in grace through Christ. Let me finish with this. I recognize what was said at the start. That this can be easier said than done in practice. In theory we can affirm this teaching. In practice, we can all suddenly draw the lines differently. Some thinks a matter of dispute is so clear in Scripture that to deny it is a grave sin, while some might search the Scriptures and not see a clear answer. What one person thinks is a matter of indifference, others see as so very important. The line gets drawn in different ways. The distinctions of this passage can get forgotten or lost to fellow Christians so quickly. And so we do form factions, and cliques, and divide as churches and denominations. And so what do we do? When we struggle to decide where to draw the line? When to receive someone as a brother and when to condemn them as having missed the gospel? Well, let us acknowledge our struggle to live this out. Confess that to God. Seek his grace to have more wisdom. Pray about it. Do your best by grace to live this out, even knowing you’ll sometimes miss the mark. But let that make you long all the more for heaven. For then the judge will have spoken on all such matters. And it will be clear who God in Christ has received. Look forward to that day of final clarity. Until then, keep looking to trust your life to the Lord. For as we’ve read, it is God who will make you to stand. Praise the Lord! Amen.